Welcome to the Strange, an augmented reality game that has taken the world by storm. Through Encounters, the Strange matches participants together, giving them tasks to complete, which is why Alex Kubelick finds herself slapping a complete stranger in the face one morning. Completing tasks results in rewards, paid in Emoticoins, a new digital currency that seems to have little import outside the game. Alex is a journalist, and when one of her sources provides her with proof that a government minister has been paid a bribe in Emoticoin, her understanding of the Strange and of this new digital currency is suddenly turned on its head. Thimblerig, a young Syrian refugee is smart enough to avoid the Strange, but his involvement with the hacker group Cockaigne, and in particular, one member who goes by the name of Lucky Ghost, leads him to Occidental Data Partnerships, whose chief executive seems to be manipulating Emoticoin for his own benefit. But that’s a bonus, because Thimblerig has a deeper motive for hunting down Doug Raynor. Set about a decade after the events of Matthew Blakstad’s debut, Sockpuppet, his latest, Lucky Ghost builds on some of the themes that were first examined therein: the concept of identity remains an important one, as does the implicit – and often misplaced – trust that we put in the technology that rules our everyday lives. Add to this the concept of a digital currency, and its real-world impact on the global economy, and Blakstad’s new novel is as terrifying as his last. The story introduces us to two new characters at opposite ends of the spectrum. In Alex we meet the typical day-to-day user of the latest technology: it’s all about the benefits with little thought given to the drawbacks such as security concerns, or the erosion of privacy. 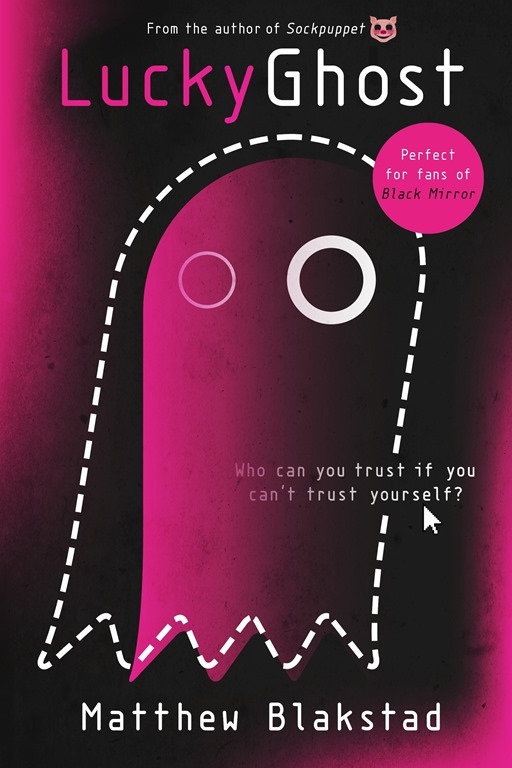 Like Parley, the fictional social media platform from Sockpuppet, the Strange is all-pervasive, and Alex uses it as a way to deal with anxiety and depression, the build-up of Emoticoin giving her a measurable view – regardless of how false – of her emotional state. In Thimblerig, we have someone who doesn’t use the Strange because of the same concerns that Alex so easily ignores. No less attached to the world-wide web in its latest incarnation, he does so on his own terms, in ways that make him difficult to trace, and difficult for anyone to keep track of what he is doing. Each of these two central characters has their own strengths and weaknesses, but it’s when they combine forces, assuming they don’t kill each other in the process, that they start to get somewhere in their respective investigations, which are both ultimately linked. Blakstad’s ability to mix technology with action to appeal to a wide range of readers remains as strong as ever, proving that Sockpuppet is more than beginner’s luck. While the augmented reality aspect of this new novel makes it slightly less immediate than the technology used in his earlier novel (though by no means beyond the realms of possibility), it seems a logical progression, given that ten years have passed, so that the reader can still feel some element of threat as the story progresses: this is a danger that we all ultimately could face, rather than the more abstract dangers that we experience vicariously through the likes of James Bond or Jack Reacher. 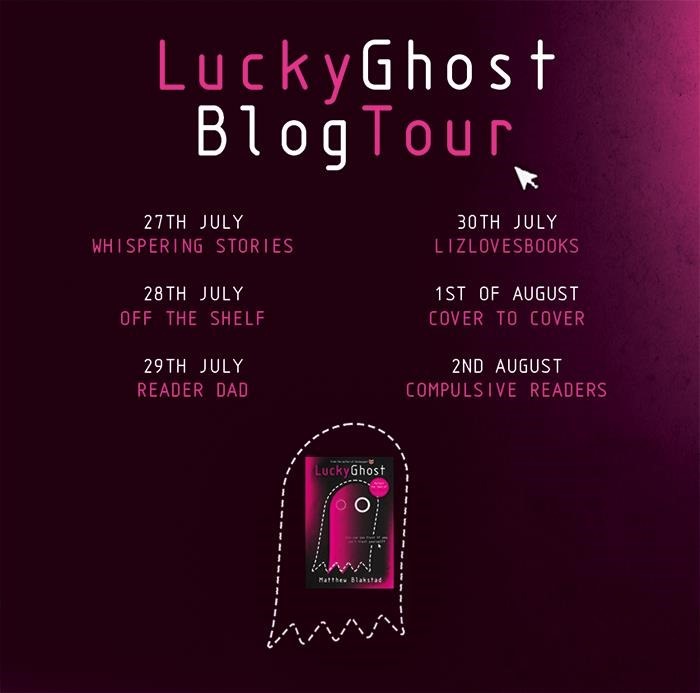 Despite the new characters and the seemingly-unrelated plot, Lucky Ghost is the second novel in Blakstad’s Martingale Cycle, and he makes sure to provide enough links to keep the reader grounded in his universe. Dani Farr, the hacker heroine of Sockpuppet puts in an appearance, and plays an important role in the story’s progression, as does Mondan CEO, Sean Perce. It’s interesting how Perce is handled, now an almost mythical Elon Musk-like figure. Despite what we (the reader) know of him, he is still presented as a potential source of evil, and is named by more than one character as the prime suspect behind what’s going on. Once again the spirit of Elyse Martingale overshadows much of the narrative, especially as she appears to have been resurrected in the form of Lucky Ghost, a character who is never seen, but who speaks in her voice. Her ideals of technological and political freedom of information still drive much of what’s going on and she is revered as a kind of saint by the members of Cockaigne. This second outing that builds a story around her legacy only makes us want to meet her all the more and, according to the author himself, we should be able to do so in one of his next few novels. Count me in for that, and for anything else that Blakstad writes. Striking the perfect balance between technical and action-packed, Lucky Ghost is perfect reading for fans of Stephenson, Sterling, Gibson, et al. Filled with a dark and infectious humour, it’s a story driven at once by the lifelike characters at its heart, and by the real-world situations that it describes. Nigh on impossible to put down once you’ve picked it up, it cements Matthew Blakstad’s place as a writer of considerable talent, a writer who knows exactly how to grab his audience, and keep them involved – and highly entertained – until his story is done. There will come a point when one book a year isn’t enough, but hopefully not until we have a significant backlist to re-read time and again. This is one rising star you don’t want to miss.